Did you know there is now a live version of this entire blog? I spent half of 2015 adapting these 70,000 words or so into a one hour comedy show. 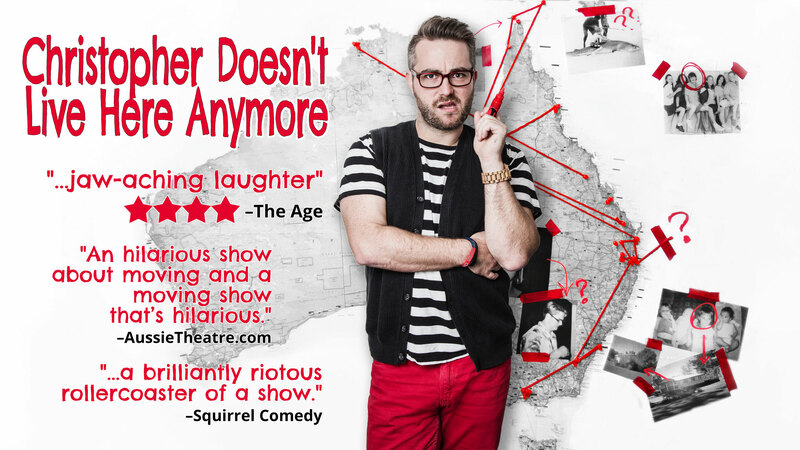 It debuted at the Melbourne Fringe Festival in 2015, played at the Brisbane Powerhouse’s queer arts festival, MELT, in February, and then played again at the Melbourne International Comedy Festival in April 2016! Written and Performed by Christopher Welldon. Directed by Daniel Lammin. “Jaw-aching laughter that banishes shame from trauma.” – The Age. “Laced cleverly with genius comedy…” – scenestr.